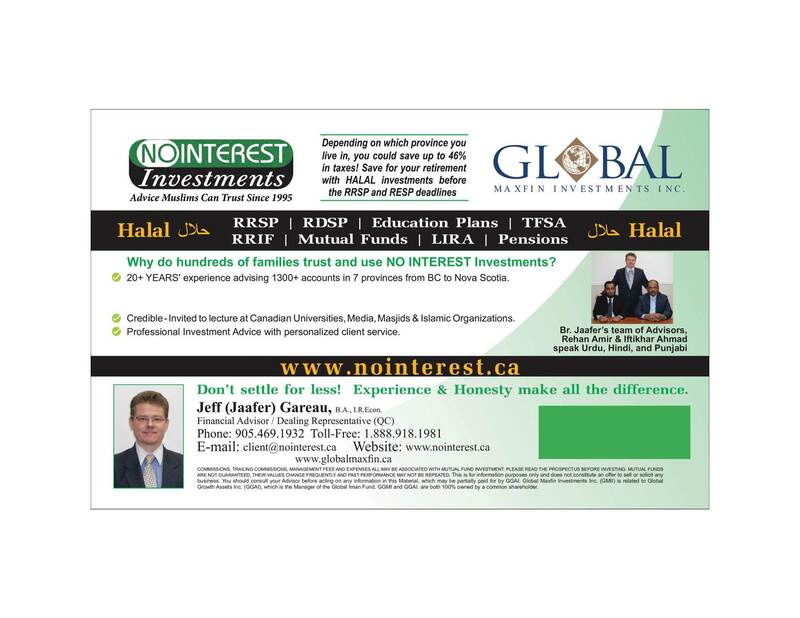 Since 1995, Jeff (Jaafer) Gareau and NO INTEREST Investments have been advising hundreds of clients pertaining to Islamic Investments that meet strict Islamic Criteria for HALAL RRSP - HALAL RESP - HALAL TFSA - HALAL RDSP - HALAL Investments and advice on Islamic financing and ways to avoid interest (RIBA). Experience, honesty and integrity matter! Confirm credentials first. Helping hundreds of Canadian Muslim families from all walks of life and 23 diverse backgrounds. Start learning now how to save taxes and grow your money using professionally managed Halal investments for your RRSP, RESP, TFSA, and Pensions. Registered in multiple provinces throughout Canada from Nova Scotia to British Columbia. 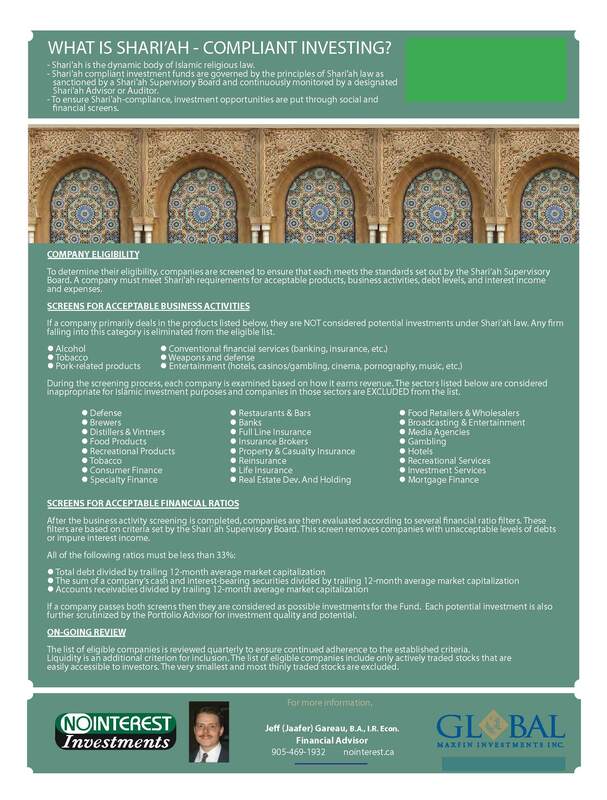 With over 20 years in the Investment Industry and Specializing in Islamic Investments, Jeff (Jaafer) Gareau is sought after as an expert to give educational presentations for Islamic organizations, conferences, masjids, appearances on National TV/radio/newspapers. Becoming a client is a simple process. 1) Download and Fill out a Personal Financial Review Form.